Living in Sunny South Africa! : A birthday layout!! It's been a bit quiet on the blogging front. What with the Olympics being on, and me with a bout of flu, I haven't spent too much time blogging. We here in South Africa are so proud of our 2 men swimmers that have won gold medals. What amazing achievements!!!!! Proudly South African!!! I am still loving playing with my Silhouette, and for my birthday layout I cut various items to use on my page. 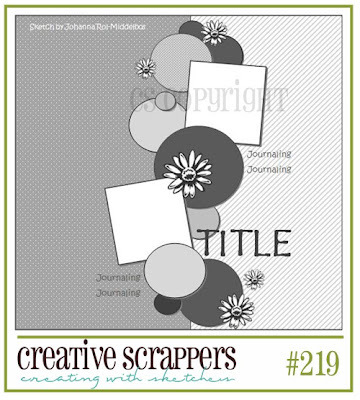 I used the latest Creative Scrappers sketch. I know I was only supposed to use 2 photos, but I had to use these 3 special photos which were the most important parts of my birthday!!!! 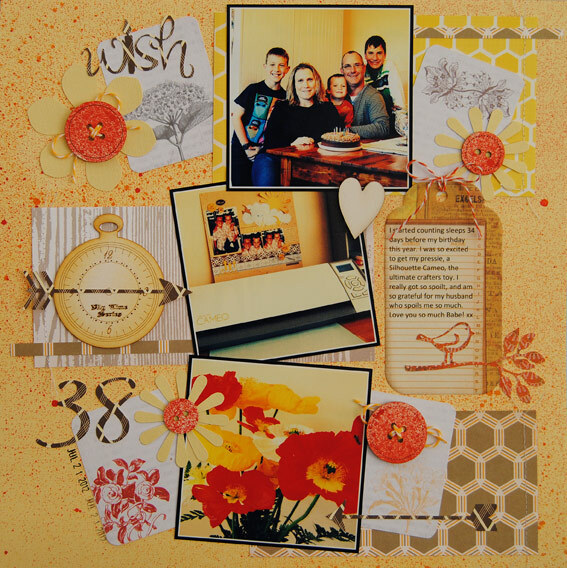 I used mostly Studio Calico papers on this page as well as 2 different colors of Mister Huey's Mists. LOVE them so much. The buttons and pocketwatch embellies are by Enmarc Crafts, a lovely South African Company. You can find their Ning site HERE. I left some love for you on the Enmarc site...but super layout! 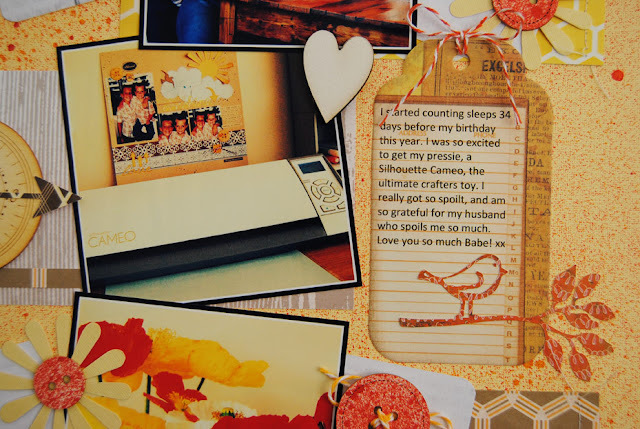 Love the bright and sunny yellows on your layout and the super photo's! Love the spritzed background as well...So super!